If you are searching for a well-performed Metal Melting Furnace for metal melting applications in your foundry, Meta Therm Furnace Pvt. Ltd got you covered. Being one of the most dependable Metal Melting Furnace Manufacturers in Mumbai, we have the most advanced and feature-rich designs to suit your diverse requirements. Each and every product go out of our facility is a testimony of good quality that we maintain in our products. With the Metal Melting Furnaces, the process of heating and melting solid materials like metal becomes easier than before. Using it will not only ease the process but also boost productivity to a great level. Design of the furnace can be customized as per the need of the customers according to the heating need of their application or foundry. To place your order, you can make us a call on the given numbers, our executives would be happy to assist you. 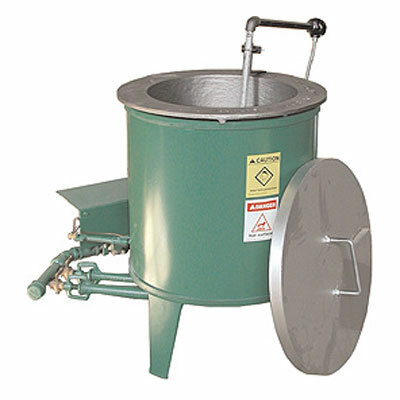 Being one of the peerless Metal Melting Furnaces Exporters and Suppliers in India, we will take care of the product quality, after-sale support and timely delivery of the products.